Transitioning a family from homelessness into a stable home is a process that includes tackling a number of complicated issues. The Broward Partnership’s Family Services program ensures that families experiencing homelessness have access to safe, short-term shelter, nutritious meals, child care, family therapy, and array of supportive services that foster the transition to housing and self-sufficiency. sessions led by certified counselors offer an outlet for both parents and children. such as “Motivated Moms” allow family members to share their experiences and learn from each other. helps moms and dads acquire personal skills they might be lacking. bring parents and kids closer together and improve family dynamics. allow kids (and parents) to express themselves freely through their own creativity. is arranged to make sure children enjoy the education and enrichment they’ve been missing. help parents who work find quality care for their young children. helps families find and move into permanent housing, while providing on-going case management for up to a year to ensure they stay on course to keeping it. The homeless crisis is a family crisis. Please give what you can. Every penny of your donation goes directly to funding the programs of the Partnership and helping get families off the street. families (give or take a few) were served at the Broward Partnership last year. 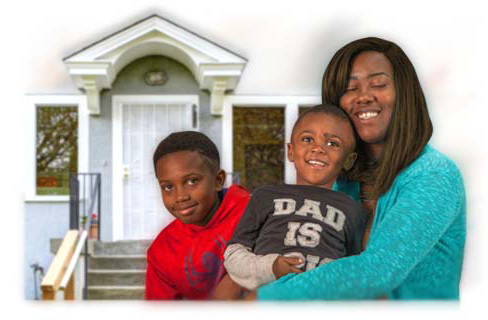 of our families are placed into stable or permanent housing upon discharge. kids receive school supplies and clean uniforms each year thanks to our generous donors. The homeless crisis is a family crisis. Please give what you can. Every penny of your donation goes directly to funding the Broward Partnership and helping get families off the street.